After a well deserved summer break - MoMoTLV is back in town! We are delighted to invite you to our upcoming event in which we'll host PayPal and discuss Mobile Payments. Join us for some interesting sessions and drinks at our regular venue - Mandy's Tel Aviv which is right across Reading and next to the Daniel Rowing Center. 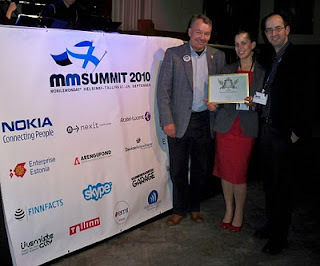 Also in the event we will reveal MoMoTLV's candidate for Peer Awards contest that will be held in the MobileMonday Summit 2010. If you'd like to register your startup - you have till Thursday, Sep.2 at 23:59, so hurry up and register here. Registration is done via the MoMoTLV September 2010 Facebook event page where you can also find more details. If you are not already a member of the MoMoTLV Facebook Group, please make sure you join that first. The event is also sponsored as always by our annual sponsors Partner Communications (Orange Israel). We're glad to announce the 3rd event in the series of France Telecom events in cooperation with MoMoTLV. This time we are hosting several executives coming from France including Raphael Goumot, VP games from content division, Pascal Latouche, VP from ATTM (time to market) and Nathalie Boulanger, senior VP from Marketing and Innovation team. To register to the event go to http://ftgames.eventsbot.com/. Note the we have limited spaces so if you're into mobile games and content hurry to register. We are delighted to invite you to our very special and festive event this month, celebrating 2 years anniversary to MobileMonday Tel Aviv! The event will include special guests from Forum Nokia and interactive discussions sessions, where you get not only to hear but also be heard. Join us for some interesting sessions and Shavuot-style refreshments at the Daniel Rowing Center which is right across Reading (Same building as our usual venue, the Mandy's). Registration is done via the MoMoTLV May 2010 event page in Facebook where you can also find the agenda and more details. If you are not already a member of the MoMoTLV Facebook Group, please make sure you join that first. If you don't have a Facebook account you can apply to register in this form, and if confirmed you will get a message in the day of the event. The event is kindly sponsored by Forum Nokia who are also having a special workshop the day after our event (May 25th and 26th) - Click here to register. 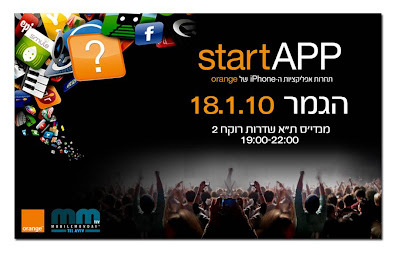 We hope you all enjoyed at our last event in which we hosted the finals of Orange Israel startAPP contest. 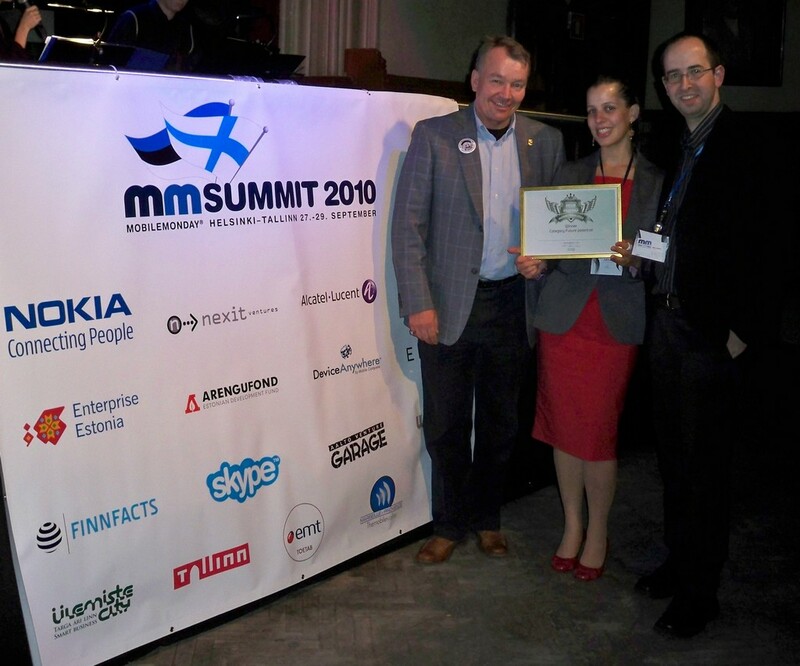 We've uploaded the pictures from the event, you can see them all at the MoMoTLV January 2010 startAPP event gallery. We're also glad to announce that we have a new and shiny twitter account. If you'd like to follow us go to the MoMoTLV on Twitter. In addition we'd like to inform you of an upcoming seminar held by France Telecom in February 22, 2010 at 4:30pm. This is the 2nd event in the series of FT's seminars for developers. A special guest from FT is coming, see all the detail and register here. And finally, next week a lot of us will be heading to the MWC, so we wanted to give you a few tips to make your stay productive and fun. MWC is full of networking opportunities and not only during the show, but more towards the night in the various parties. The first MoMoTLV event of the decade is here: iPhone contest finals! A new mobile decade is upon us and we are glad to open it with a blast: orange's iPhone startAPP contest finals! The contest was announced on our event back in September 2009, and in this event the top 3 winners will be announced and present their innovative applications live on stage. So join us for *the* iPhone event of the year - hear about best practices and see them with your own eyes. The event will be hosted at the Mandy's Tel Aviv which is right across Reading and next to the Daniel Rowing Center. What: iPhone startAPP contest finals! Speakers include Erez Paz, Orange VP of Marketing, Yosi Taguri, Co-Founder of fiddme and presentations from the winners of the competition who will show us what they've been working on (There are some cool stuff there!). Registration is done via the MoMoTLV January 2010 iPhone Event page in Facebook where you can also find the agenda and more details. If you are not already a member of MoMoTLV Facebook Group, please make sure you join that first. If you don't have a facebook account - you can register via the off-facebook registration for this event at this form.